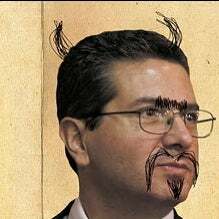 Dan Snyder? How can anyone get worked up over Dan Snyder? Complete moronic imbecile. Everything he does backfires on him. I refuse to go off on Dan Snyder. Too easy. Effortless. I hear he visits Bernie Madoff regularly in prison. Let me make this clear: when I said Dan Snyder was visiting Bernie Madoff in prison, I meant conjugal visits. I'm not that fucked up. See what he did there? He went off on Dan Snyder by not going off on him. Genius. Now we don't have to. Help out the City Paper through a contribution to its legal defense fund.